This textbook is designed for Colleges, Universities, and Technical Schools. The aim of the author has been to prepare a work for beginners, and at the same time to make it sufficiently comprehensive for the requirements of the usual undergraduate course. For the methods of development of the various principles he has drawn largely upon his experience in the classroom. 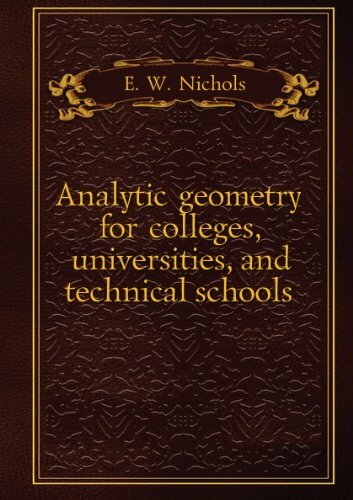 In this book, the first eight chapters include the subjects usually treated in rectangular coordinates. They presuppose as much knowledge of algebra, geometry, and trigonometry as in the major requirement of the College Entrance Examination Board.